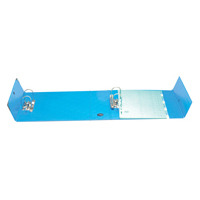 Arianex Blue Double A4 Lever Arch File DA4BL Pack of 1 Lever Arch File with fixed mechanism. Individual archived documents always available. 40% space gain in the filing cabinet. Exceptional longevity and quality. Designed for A4 paper. Blue. 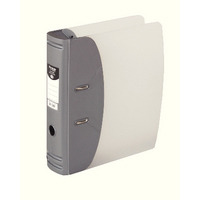 Arianex Black Double A4 Lever Arch File DA4BK Pack of 1 Lever arch file with fixed mechanism. Individual archived documents always available. 40% space gain in the filing cabinet. Exceptional longevity and quality. Designed for A4 paper. Black. 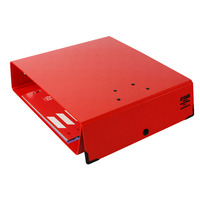 Arianex Red Double A4 Lever Arch File DA4R Pack of 1 Lever Arch File with fixed mechanism. Individual archived documents always available. 40% space gain in the filing cabinet. Exceptional longevity and quality. Designed for A4 paper. Red. 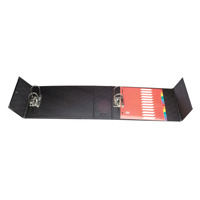 Hermes Heavy Duty A4 Black Lever Arch File 832001 Pack of 1 A4 polypropylene heavy duty lever arch file. Durable, strong and long lasting. Designed to last at least twice as long as standard board files. Frosted wipe clean covers with identification label. Capacity: 60mm. Colour: Black. Hermes Heavy Duty A4 Silver Lever Arch File 832006 Pack of 1 A4 polypropylene heavy duty lever arch file. Durable, strong and long lasting. Designed to last at least twice as long as standard board files. Frosted wipe clean covers with identification label. Capacity: 60mm. Colour: Metallic Silver.